Beverly Jane Biggs, 59, a resident of Carlinville, Illinois, passed away Friday, January 18, 2019 at the Carlinville Hospital in Carlinville, IL. She was born December 31, 1959 in Eldorado, IL to Charles and Mary Jane (Littlefield) Wheeler. In life she worked as a CNA health provider. 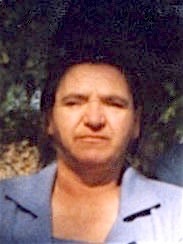 Beverly is survived by her son, Charles Hutchison of Harrisburg, IL; daughter, MaryBeth Hutchison of Harrisburg, IL; five grandchildren: Charles Hutchison, Johnathon, Carley, Alysa and Allie Jane; brother, Michael Wheeler of Eldorado, IL; and two sisters, Rebecca (Roger) Brown of Eldorado, IL and Judy Seaton of Waggoner, IL. She was preceded in death by her parents and husband, Leon Biggs. Funeral services will be held Wednesday, January 23, 2019 at 7:00 p.m. at the Gholson Funeral Home in McLeansboro with Rev. Robert Sefried officiating. Visitation will be held from 5:00 p.m. until the time of service at 7 p.m. at the Gholson Funeral Home in McLeansboro. Memorial donations may be made to the family to help with funeral expenses and will be accepted at the Gholson Funeral Home.